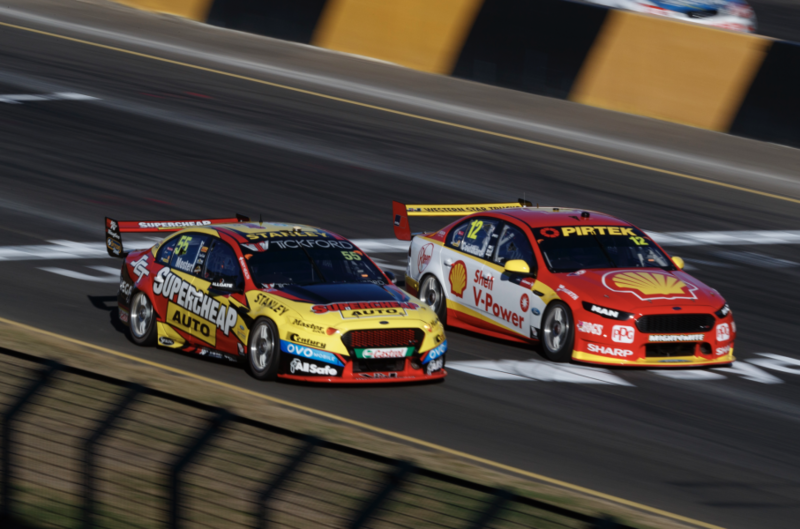 Prodrive has recruited a dedicated engine development engineer as it pushes to close the gap to Supercars heavyweights Shell V-Power and Triple Eight. Engine performance is seen as a weakness of the current Prodrive package, falling behind its key rivals in the development race over the last 18 months. As part of efforts to get back on top, the Melbourne-based Prodrive has added West Australian Jon Grove to its engineering line-up. Grove started with the team last month following a stint with Toyota Racing Development working on its NASCAR engine program. The 28-year-old also has experience in Supercars having worked for Triple Eight’s engine supplier KRE prior to moving to the United States in 2015. Prodrive is understood to be planning an engine upgrade package for Sandown, potentially providing a vital boost ahead two of the season’s biggest power circuits. Team principal Tim Edwards would not confirm the timing of its upgrades, but admits improving engine performance is one of the team’s current development targets. “Jon is a specialist when it comes to engines, so he adds to the skillset of our existing engineering group,” Edwards told Supercars.com, confirming Grove’s appointment. Supercars’ rules see all engines homologated to a maximum cumulative horsepower figure of 20,654bhp when measured at 50rpm increments between 5,800 and 7,450rpm. Every part of each team’s engine is homologated, with changes only allowed if testing on Supercars’ dyno does not see a breach of the 20,654bhp figure. While the system has been in place since the start of 2014 to ensure parity and control costs, development continues as teams strive to optimise where the power sits within the rev range. Shell V-Power and Triple Eight are among teams understood to have already homologated minor changes this year as they refine the delivery and efficiency of their engines. “The whole category I believe is within 0.4 percent in terms of power, but everybody’s engine characteristic in that 2,000rpm window is very different,” explained Edwards. “Some have got more at 6,000rpm and less at 7,000rpm, they’re all different, and some circuits suit our engine and some suit others. “It’s about the nature of the corners that come onto the straights and where you are in the rev range. Edwards is meanwhile keeping guarded on any changes for Sandown, before which the team will complete its final Winton test day of the season. “It’s no different to any new bits we put on the car. We don’t talk about what we’re doing with development,” he said. Edwards says, however, that Grove’s appointment has been made with a long-term view as the team continues to assess its position post-Falcon. The team had hoped to be racing Mustangs in 2018, but will retain the Falcon for at least another season after failing to get the green light from Ford. “It (the recruitment) is a decision we took a while back as a long term investment of where we might be in a year or five year’s time,” he said. “That could include change to the whole engine, whether that’s a turbo or an overhead cam engine.